You have learned some things about influencer marketing and have researched all new findings. You checked out the 5-step plan on the Join-blog. You already know what influencers you want to work with, but then: the inspiration. The creative, fun and difficult part. Here at Join we like to help you out and supply you with some fun and interesting influencer campaigns. This way you’ll stay inspired and who knows – maybe your campaign is on this list next time! Influencer marketing is not only effective commercially, it also has a lot of advantages for the non-profit sector. 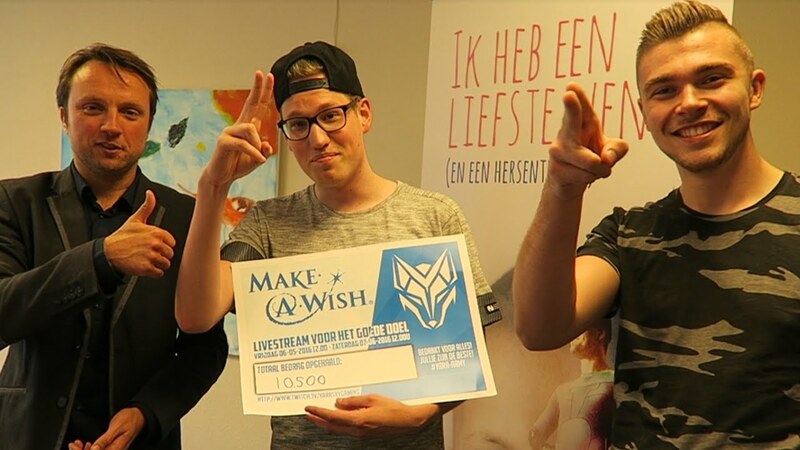 Yarasky, a Dutch gaming-vlogger, collaborated with Make-a-Wish in the Netherlands. He organised Wish-for-24, a 24-hour lasting livestream to raise money for the dreams of sick children. Raising money wasn’t the only cause though, Yarasky also collaborated with Make-a-Wish Belgium to actually make Renzo’s wish come true! We love the positivity – but does a non-profit influencer campaign work for influencer and brand? Yes it did: Yarasky raised over €10.000 for Make-a-Wish and the PR- and media-value of the campaign was through the roof. A lot of Yarasky’s followers shared the video, and the good cause went viral. Donations, PR-value and a reach of 5.7 million people, that’s not bad at all. And Yarasky? He got to fulfill kids’ dreams, had a lovely day with Renzo and boosted his views and likes until well after the influencer campaign. This way, non-profit influencer marketing is positive for everyone. Danielle Bernstein, known for fashionblog WeWoreWhat, has over 1.5 million followers on Instagram. Her personal style-blog is doing quite well, and still she decided to mix things up for her campaign with Fiji-water. She promotes the mineral water-brand together with Eric Johnson on BodyWoreWhat, a fitness- and food-platform. She collaborates with personal trainer Eric to make sure that people on a busy schedule can still work on being fit and healthy. How does Fiji-water fit in the image? To stay hydrated! And if you sign-up for the BodyWoreWhat fitness-package, you get a discount on your Fiji-hydration. This influencer campaign shows that by using the influencers own take on the brand, a campaign can be more complete and more successful. 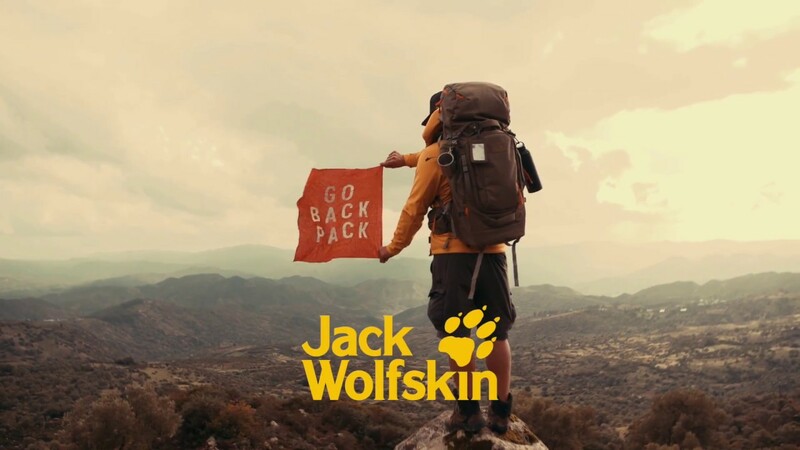 Jack Wolfskin, the iconic yellow paw, is a famous brand for travel-accessories and -gear. The German brand combined user-generated-content with influencers in the #GoBackpack campaign. How did it work? Jack Wolfskin added a bright red flag saying “Go Back Pack” to most of their sold gear for a while. The consumer-goal of this campaign was to travel somewhere, make a picture with the flag and share the picture with a story on the special Jack Wolfskin-website. 1000 stories were rewarded with a Jack Wolfskin-cashback! To raise awareness for the campaign, Jack Wolfskin collaborated with several influencers. Gürel Sahin, for example, is a landscape-photographer they sent to Morocco. Max Münch, both blogger and pianist, made a trip to Costa Rica. The influencers shared their pictures and stories and brought the campaign to the public. Thousands of people followed their example and the influencer campaign was a success. Last but definitely not least, a Dutch campaign that was executed through Join, our own platform! Through our platform sports- and fashion-brand Björn Borg launched an influencer campaign for the Björn Borg Signature Collection. Recently a film covering the life of the famous tennis player was produced and this collection is a collaboration between Björn Borg (the brand) and the movie. Björn was a fashion-icon because he combined his sportswear with casual wear. Therefore Björn Borg decided to go with a streetwear-campaign with an urban-feel. The tennis player used to wear bright t-shirts with texts, and we see these as inspiration for the ‘I Love Björn Borg’-shirts. The combination of design and playful elements can also be recognised in the posts above by Christoffel and Rachel. Nice job! The influencer were exclusively invited by Björn Borg and were the very first to receive the collection. By including the influencers in the campaign’s launch Björn Borg assured the influencers really had a sneak peek, something their followers really liked. The campaign reached over 1 million people in the Netherlands and scored over 7% on engagement. I can only imagine Björn is proud! As you can see in these examples there are many different ways to use influencer marketing. The creative part of the campaign is, like I said, the most fun and difficult part. Do you have a creative idea to use influencer marketing for your business or brand and do you want it to score? Request a demo through hello@join.marketing or directly contact us. We’d love to hear from you!